Install the release candidate now! Do not proceed unless you already have read Annotating text, text() and annotate()! 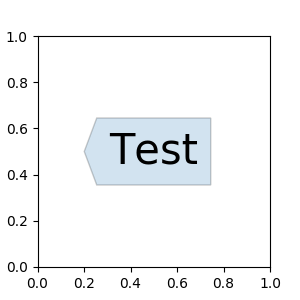 The text() function in the pyplot module (or text method of the Axes class) takes bbox keyword argument, and when given, a box around the text is drawn. The return value is an instance of FancyBboxPatch and the patch properties like facecolor, edgewidth, etc. can be accessed and modified as usual. 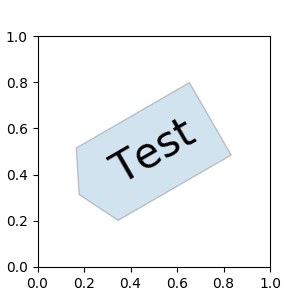 To change the shape of the box, use set_boxstyle method. The arguments are the name of the box style with its attributes as keyword arguments. Currently, following box styles are implemented. 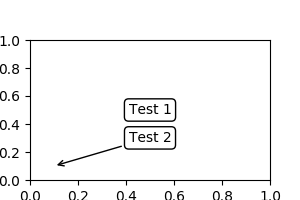 The annotate() function in the pyplot module (or annotate method of the Axes class) is used to draw an arrow connecting two points on the plot. This annotates a point at xy in the given coordinate (xycoords) with the text at xytext given in textcoords. 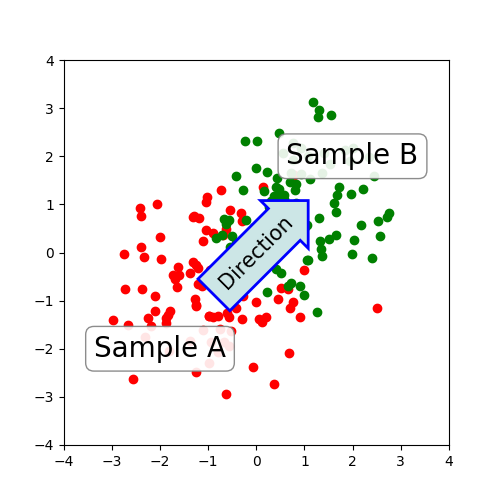 Often, the annotated point is specified in the data coordinate and the annotating text in offset points. See annotate() for available coordinate systems. 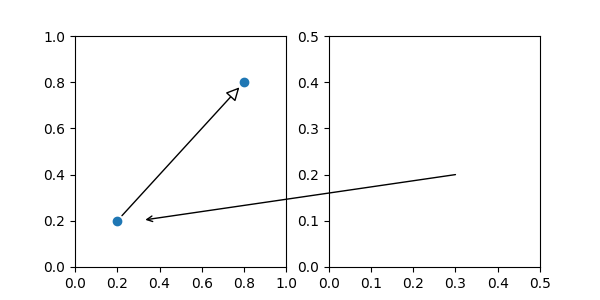 An arrow connecting two point (xy & xytext) can be optionally drawn by specifying the arrowprops argument. To draw only an arrow, use empty string as the first argument. The arrow drawing takes a few steps. a connecting path between two points are created. This is controlled by connectionstyle key value. If patch object is given (patchA & patchB), the path is clipped to avoid the patch. The path is transmuted to arrow patch, which is controlled by the arrowstyle key value. 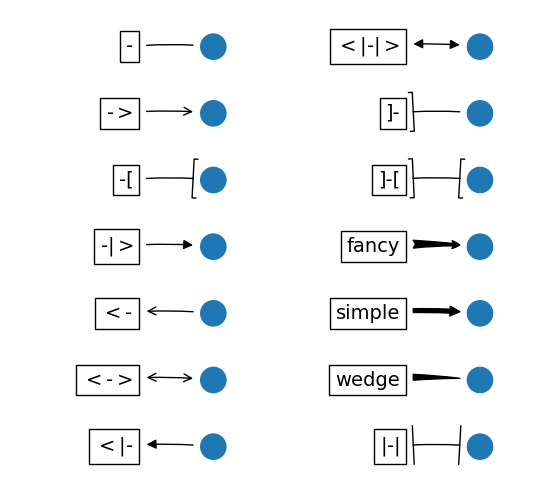 The creation of the connecting path between two points is controlled by connectionstyle key and following styles are available. Note that “3” in angle3 and arc3 is meant to indicate that the resulting path is a quadratic spline segment (three control points). 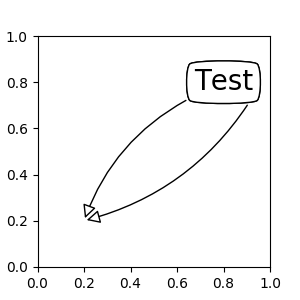 As will be discussed below, some arrow style option only can be used when the connecting path is a quadratic spline. 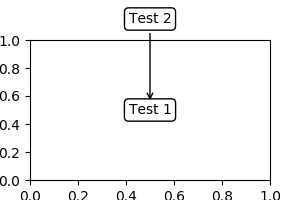 The behavior of each connection style is (limitedly) demonstrated in the example below. (Warning : The behavior of the bar style is currently not well defined, it may be changed in the future). 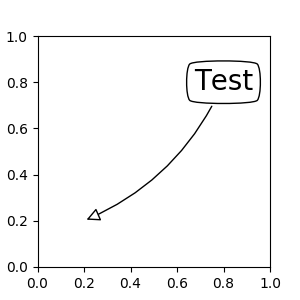 The connecting path (after clipping and shrinking) is then mutated to an arrow patch, according to the given arrowstyle. 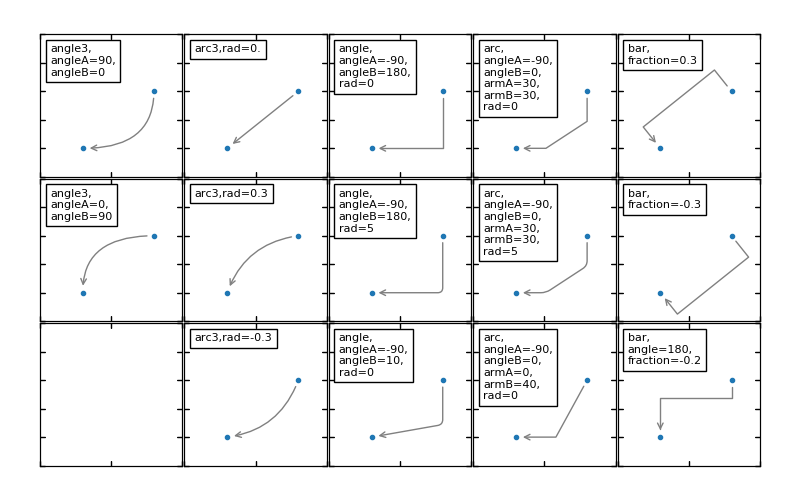 Some arrowstyles only work with connection style that generates a quadratic-spline segment. They are fancy, simple, and wedge. For these arrow styles, you must use “angle3” or “arc3” connection style. If the annotation string is given, the patchA is set to the bbox patch of the text by default. 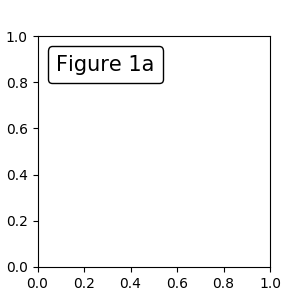 As in the text command, a box around the text can be drawn using the bbox argument. By default, the starting point is set to the center of the text extent. This can be adjusted with relpos key value. 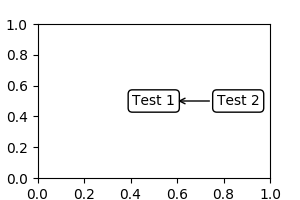 The values are normalized to the extent of the text. 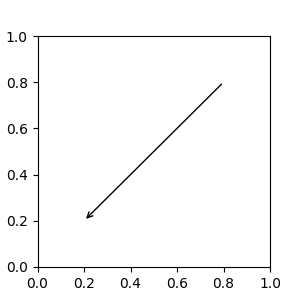 For example, (0,0) means lower-left corner and (1,1) means top-right. There are class of artist that can be placed at the anchored location of the Axes. A common example is the legend. This type of artists can be created by using the OffsetBox class. A few predefined classes are available in mpl_toolkits.axes_grid.anchored_artists. The loc keyword has same meaning as in the legend command. A simple application is when the size of the artist (or collection of artists) is known in pixel size during the time of creation. For example, If you want to draw a circle with fixed size of 20 pixel x 20 pixel (radius = 10 pixel), you can utilize AnchoredDrawingArea. The instance is created with a size of the drawing area (in pixel). And user can add arbitrary artist to the drawing area. Note that the extents of the artists that are added to the drawing area has nothing to do with the placement of the drawing area itself. The initial size only matters. The artists that are added to the drawing area should not have transform set (they will be overridden) and the dimension of those artists are interpreted as a pixel coordinate, i.e., the radius of the circles in above example are 10 pixel and 5 pixel, respectively. Sometimes, you want to your artists scale with data coordinate (or other coordinate than canvas pixel). You can use AnchoredAuxTransformBox class. This is similar to AnchoredDrawingArea except that the extent of the artist is determined during the drawing time respecting the specified transform. el = Ellipse((0,0), width=0.1, height=0.4, angle=30) # in data coordinates! The ellipse in the above example will have width and height corresponds to 0.1 and 0.4 in data coordinate and will be automatically scaled when the view limits of the axes change. As in the legend, the bbox_to_anchor argument can be set. Using the HPacker and VPacker, you can have an arrangement(?) of artist as in the legend (as a matter of fact, this is how the legend is created). Note that unlike the legend, the bbox_transform is set to IdentityTransform by default. 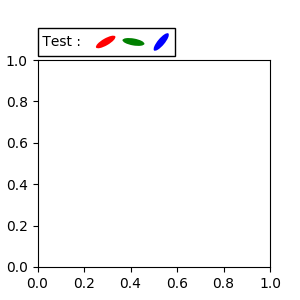 The Annotation in matplotlib support several types of coordinate as described in Annotating text. For an advanced user who wants more control, it supports a few other options. 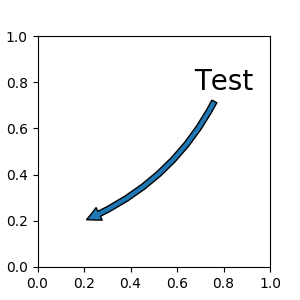 With this, you can annotate a point in other axes. Artist instance. 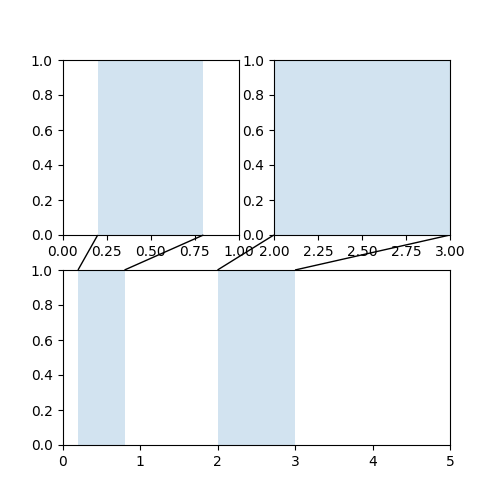 The xy value (or xytext) is interpreted as a fractional coordinate of the bbox (return value of get_window_extent) of the artist. Note that it is your responsibility that the extent of the coordinate artist (an1 in above example) is determined before an2 gets drawn. In most cases, it means that an2 needs to be drawn later than an1. Sometimes, you want your annotation with some “offset points”, but not from the annotated point but from other point. OffsetFrom is a helper class for such case. 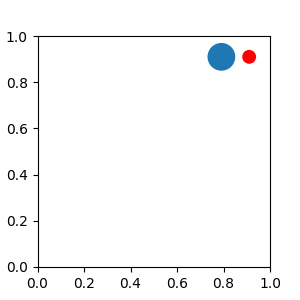 # xytext is offset points from "xy=(0.5, 0), xycoords=an1"
You may take a look at this example pylab_examples example code: annotation_demo3.py. The ConnectorPatch is like an annotation without a text. While the annotate function is recommended in most of situation, the ConnectorPatch is useful when you want to connect points in different axes. The above code connects point xy in data coordinate of ax1 to point xy int data coordinate of ax2. Here is a simple example. While the ConnectorPatch instance can be added to any axes, but you may want it to be added to the axes in the latter (?) 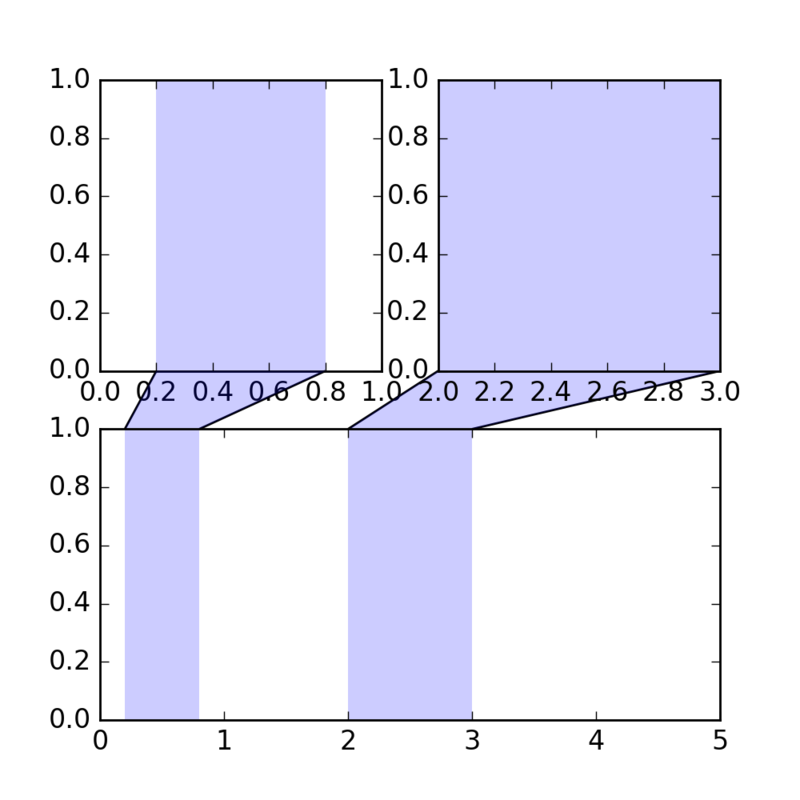 of the axes drawing order to prevent overlap (?) by other axes. mpl_toolkits.axes_grid.inset_locator defines some patch classes useful for interconnect two axes. Understanding the code requires some knowledge of how mpl’s transform works. But, utilizing it will be straight forward. - *aspect_ratio* : aspect-ration for the mutation. 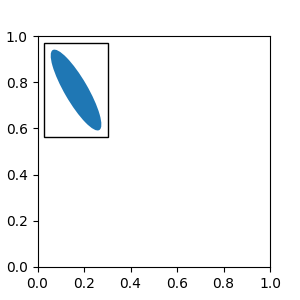 However, it is recommended that you derive from the matplotlib.patches.BoxStyle._Base as demonstrated below. # You need to overide transmute method in this case. 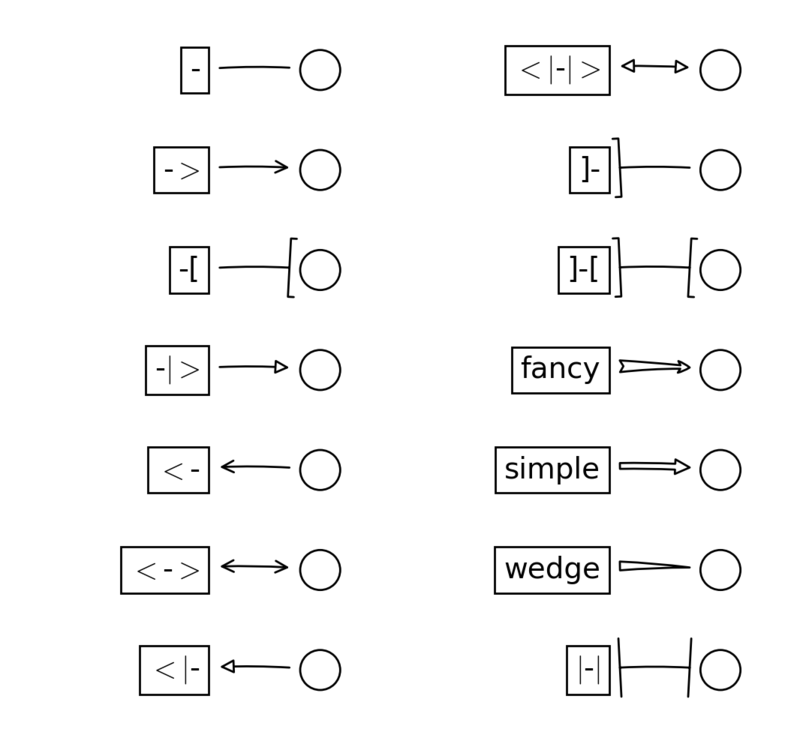 Similarly, you can define custom ConnectionStyle and custom ArrowStyle. See the source code of lib/matplotlib/patches.py and check how each style class is defined. © Copyright 2002 - 2012 John Hunter, Darren Dale, Eric Firing, Michael Droettboom and the matplotlib development team; 2012 - 2014 The matplotlib development team. Last updated on Dec 19, 2016. Created using Sphinx 1.4.3.